Falling prey to ransomware is unfortunate and frustrating. If you do fall victim to an attack, the FBI recommends not paying a ransom in response to a ransomware attack. Paying a ransom doesn’t guarantee an organization will get its data back. What reason do the cyber terrorists have for returning the information? What’s the best thing you can do to fight off ransomware attacks? • Make sure employees are aware of ransomware and of their critical roles in protecting the organization’s data. • Patch operating system, software and firmware on digital devices (which may be made easier through a centralized patch management system). • Ensure antivirus and anti-malware solutions are set to automatically update and conduct regular scans. • Manage the use of privileged accounts — no users should be assigned administrative access unless absolutely needed, and only use administrator accounts when necessary. • Configure access controls, including file, directory and network share permissions, appropriately. If users only need to view specific information, don’t give them write-access to those files or directories. • Disable macro scripts from office files transmitted via email. • Implement software restriction policies or other controls to prevent programs from executing from common ransomware locations (e.g., temporary folders supporting popular Internet browsers, compression/decompression programs). • Back up data regularly, and verify the integrity of those backups regularly. 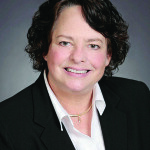 Cindy Wiedman is the president of LiabilityPro Insurance Advisors. She is a Registered Professional Liability Underwriter (RPLU) and has designed and administered professional liability insurance programs over a 35-year career. She has worked with many affinity groups over that time, and specializes in Lawyers Professional Liability Insurance and Cyber Liability Insurance. She can be reached at cwiedman@liabilityproinsurance.com or (515) 360-9041.